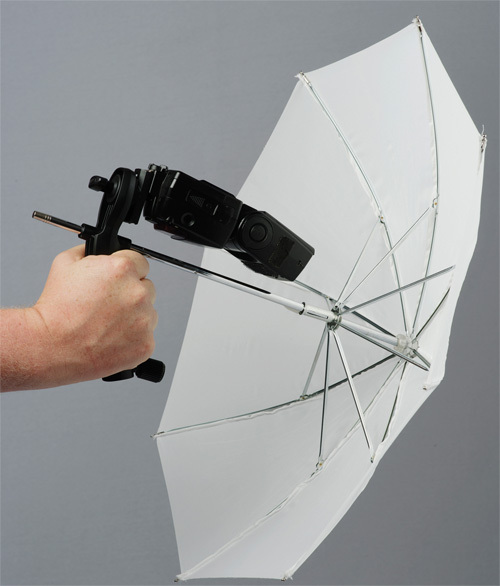 The Lastolite Brolly Grip Handle is the ultimate light modifier for the photographer who needs to be mobile. The new Brolly Grip is a unique hand held bracket which supports the flashgun in a horizontal position along an 8mm or 10mm shaft of an umbrella. The flash connector will take all standard hotshoe fittings, including the Nikon SB800/900, Sony/Minolta fitting will require and adapter. It can also be mounted to a standard spigot lighting stand. Handle only, flash & brolly not included.